A community supported agriculture group is one in which members of a community can buy “shares” in a local farm. Those shares pay out in the form of a box of vegetables and, depending on the CSA, other items such as milk and eggs. I’ll give you an example of a CSA in our area so that it becomes more clear. At the start of it, you pay $300 to buy a “share.” Then, for the next twenty weeks, you go to a pickup point on Tuesday afternoon and pick up your “dividend,” which is a box of vegetables. So, over the course of twenty weeks, you end up with somewhere in the ballpark of 300 pounds of vegetables – in other words, about a dollar a pound. These are fresh vegetables, which means they’re going to usually be more flavorful than what you find in your local grocery store for a much higher price. 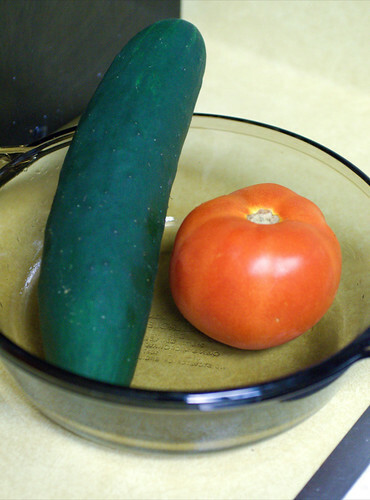 My experience with a CSA is that it can be a tremendous food bargain – with a few caveats. First of all, you’ve got to be able and willing to deal with a large input of vegetables each week. Many of your meals are going to need a heavy vegetable component for you to be able to get through the vegetables you’re going to get. This means a lot of making meals from scratch at home. If you’re willing to do that, then a CSA will provide you with a wonderful bargain. If you mostly eat out or eat prepackaged meals, then you’ll either have to change your habits or you’ll find a lot of the CSA share going to waste. Second, you’re going to have to be comfortable dealing with a variety of vegetables. You’ll get different stuff every week, and you’ll have to figure out how to use it and prepare it in something your family will enjoy. If your family is full of adventurous eaters, this isn’t a problem. For the most part, our family is extremely adventurous with our meals. We have a four year old who likes quinoa, after all. Third, you’re going to have to adopt a routine of picking up the share. If you forget, then you lose money. If you can’t make it this week, then you lose money. Do that more than two or three times and the savings benefit of a CSA begins to disappear. One tactic that helps with all of these issues is sharing a CSA with a friend or a neighbor. Split the cost of the CSA, then split the goods in an even fashion. You can either split up each week’s share or else alternate weeks. If you’d like to find a CSA in your area, start at http://www.localharvest.org/csa/. CSAs are a great way to get lots of fresh vegetables into your home at a very low cost. If you’re able to put up the initial investment and can handle the vegetables, it can be a real bargain.